For the past four months, researchers working at the Postojna Cave in Slovenia have been waiting for a batch of eggs laid by an iconic salamander to hatch. The first two hatchlings have finally emerged, exciting the scientific community and captivating the entire country. This story began at the end of January 2016 when a tour guide noticed that an egg had become attached to the wall of an aquarium at the Postojna Cave, a popular tourist destination and the natural habitat of these extraordinary creatures. By March 10, 64 eggs appeared, all of them laid by a single female salamander. Since that time, scientists have been eagerly waiting for the eggs to hatch—and it’s finally happening. It’s a rare opportunity for scientists to observe such an event; these “baby dragons,” which often live to be a hundred, only reproduce once every five to ten years. Incredibly, these endangered amphibians can go over a decade without food. The olm is an aquatic cave-dwelling salamander and a symbol of Slovenian natural heritage. Hundreds of years ago, heavy rains would wash the olms up from their underground habitat, giving rise to the folklore belief that dragons lived beneath the Earth’s crust. The pale and eyeless olms, it was thought, were the undeveloped offspring of these mythical beasts. Evolutionary biologist Charles Darwin was fascinated by the creatures, and he cited their sightless eyes as an example of natural selection in action. Though blind, the olms live by smell and hearing, both of which are extremely sensitive. Their numbers have dwindled over the years owing to loss of habitat. Of the 64 eggs that were laid, only 23 remained viable over time. The first of these eggs hatched on May 30, and the second on June 1. The remaining 21 hatchlings are expected to emerge in the coming weeks. Conditions in the aquarium are considered ideal; in nature, about one in every 250 eggs results in a hatchling. 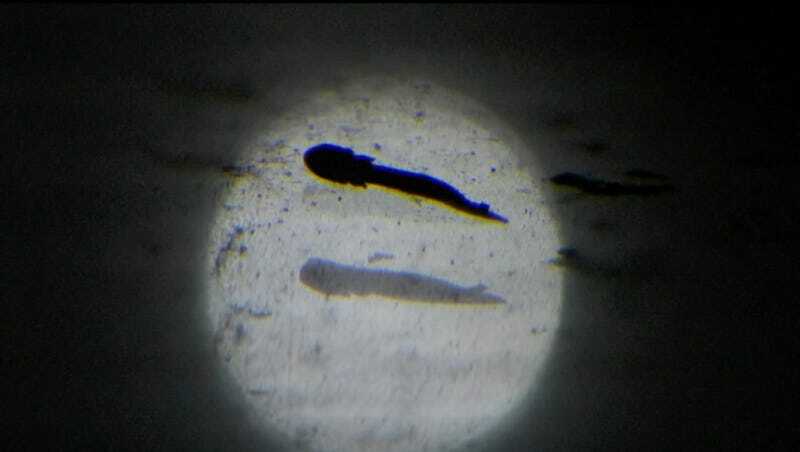 No one witnessed the first salamander wriggling out of its egg, but the event was captured by an infrared camera. The staff astPostojna are working with amphibian experts from France, who have studied the olms in an underground mountain lab since the 1950s. The French lab is the only other place where olms have been observed emerging from their eggs. In nature, no one has ever witnessed an olm younger than two years. Slovenian citizens and visitors to the cave have been following this story since the beginning of the year. Tourists can’t actually see the eggs up-close, but a screen has been provided where they can watch live footage.